Buddy is a 5 year old Therapy Poodle who recently joining the UNT Counseling and Testing Services team after relocating here from Georgia. Buddy is a Standard Poodle who lives with his human Dr. Tamara Grosz, Tamara’s husband Dr. Michael Grosz, and two children that adore him. 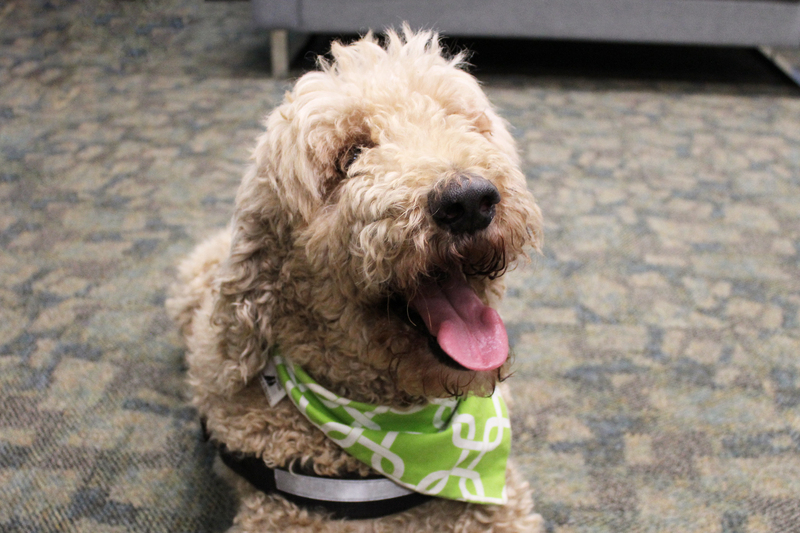 Buddy loves working with students and offers a weekly stress management and meditation group called Dog Breathe. 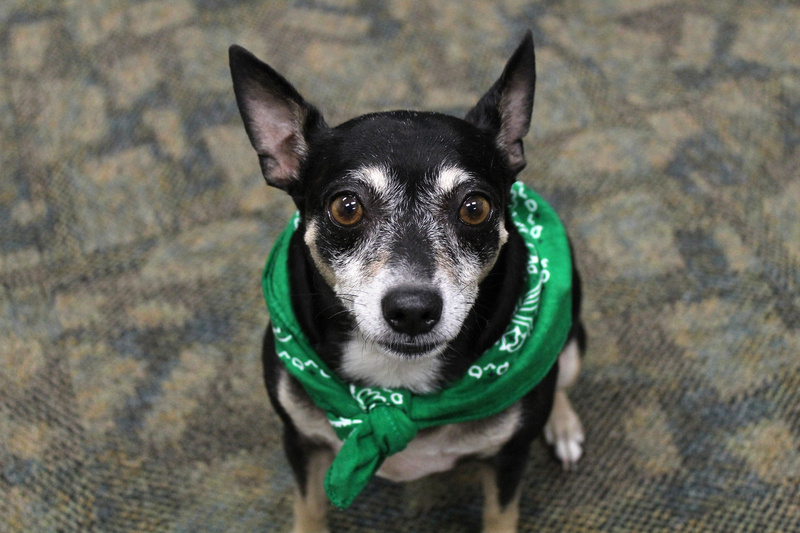 Rockstar is a 4-year old Terrier mix, who has been cuddling up to students at CTS since Spring 2017. He runs the Healing Arts workshop and loves to sit in on student sessions. His favorite activity is getting belly rubs, so when you visit CTS or see him on campus, he’d greatly appreciate you giving him a scratch! Fun Fact: when he goes for walks, he carries his leash in his mouth. 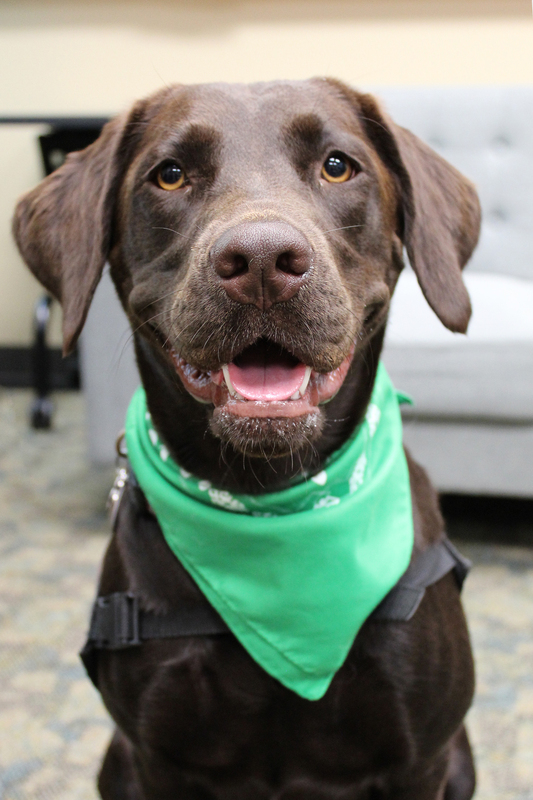 Willow, a chocolate Labrador Retriever, started her training at Counseling and Testing Services in February, 2016, at two months of age. She is a rapidly growing and energetic puppy. She will be one-year-old on December 19, 2016. 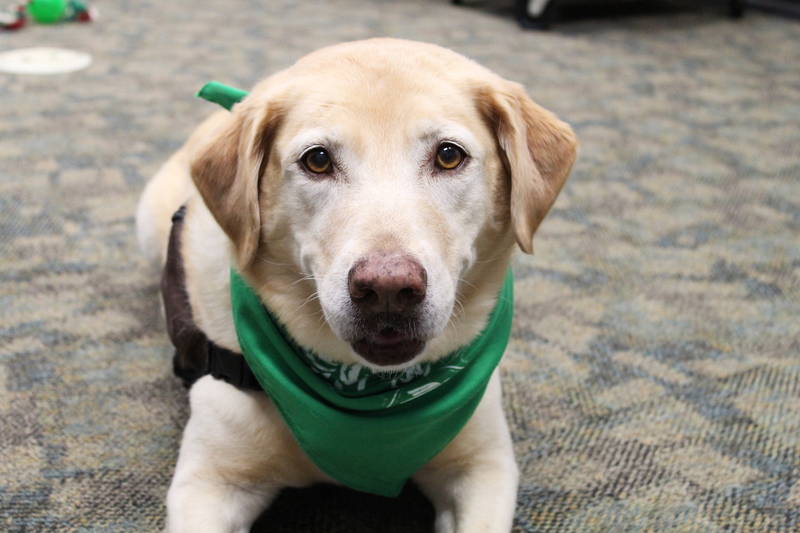 Her favorite activities are visiting with students and staff, playing with other dogs and eating treats. She also loves to recycle while out on her walks, picking up trash left behind by others. 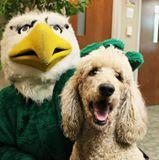 Dakota started her career at UNT in 2007 as a therapy dog in training. She passed her therapy dog test with flying colors, which allows her to go into complex settings such as hospitals and nursing homes as well as predictable settings such as Counseling and Testing Services. She is well-liked by the staff, students and faculty. Her favorite activities are napping, walking and eating treats. Spending time with animals can be a great way to boost your mood and decrease anxiety or depression, and our dogs are more than happy to do so with you! They can be brought into individual sessions, seen in workshops, and pet while walking around CTS. Buddy’s Facebook - Updates on other programs we offer and to see pictures of Buddy and the students he loves.